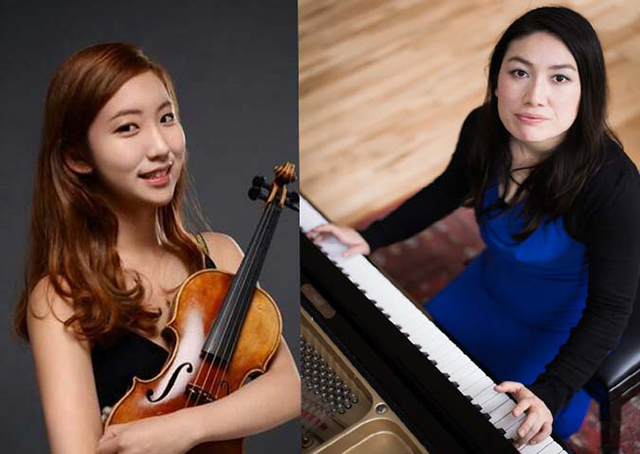 Yoonseo Sally Lee currently studies with Radu Blidar at the Royal College of Music in London, where she has been awarded an annual scholarship and sponsorship from the Bowerman Charitable Trust. She was born in South Korea and began to play the violin when she was four years old. She was accepted to the ‘Seoul Arts Centre for Gifted Young Children’ in Seoul when she was seven and won a number of awards before coming to the UK. Since coming to the UK, she partook in numerous concerts and recitals, she was invited to play at the winners’ concert at the Jacqueline du Pré music hall where she was awarded the ‘Rohan de Saram Cup’ at the Oxford Music Festival where she was described as having “…incredible confidence and maturity, maintaining a gloriously rich tone..”(The Oxford Times). She was then offered a place to study at the Yehudi. Kumi Matsuo was born in Tokyo, Japan. Winner of the 5th Louisiana International Piano Competition, she has also won numerous other international competitions. After graduating from the Toho Gakuen School of Music in Tokyo, Kumi moved to London for her further study at the Royal College of Music where she completed her Artist Diploma, Master’s degree and the Anthony Saltmarsh Junior Fellow in Accompaniment. During her study in RCM, she won the RCM concerto competition twice and performed both Ravel’s Concerto for Left Hand and Prokofiev’s 3rd Concerto with RCM orchestra. She has also played Schnittke’s Concerto Grosso No.1 conducted by Vladimir Jurowski at the Queen Elizabeth Hall. Kumi made her debut at Carnegie Hall in 2014 and a tour in New Orleans with the Louisiana Philharmonic Orchestra performing Beethoven’s Emperor Concerto in 2015. Her debut CD is on the Con Brio Recordings.